Pour plus d’informations: voir le wiki. If you stay at Paris, do not miss to join the local CAcert assurer group to pass a nive evening with them at Mai 23rd! This entry was posted in Events and tagged Assurance, Assurance Event, CAcert, Community, Event, France, Paris on 2017-05-17 by Etienne Ruedin. 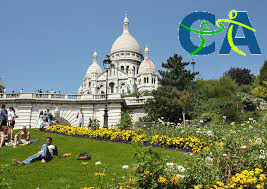 If you stay at Paris, do not miss to join the local CAcert assurer group to pass a nive evening with them at April 20th! This entry was posted in Events and tagged Assurance, Assurance Event, CAcert, Community, Event, France, Paris on 2017-04-13 by Etienne Ruedin. At the annual general meeting held in december 2016, the three seats reserved for Australians, were provisionally suspended. In the meantime, the committee of CAcert Inc. has filled its vacancies at its meeting on March, 31st 2017. Elected were Alexander Samad from New South Wales, Peter Nunn from Victoria and Ross Krumbholz from Queensland. Deutsch: Der Vorstand von CAcert Inc. ist wieder vollständig. Bei den Erneuerungswahlen im Dezember 2016 blieben die drei nach gesetzlichen Vorgaben für Australier reservierten Sitze im Vorstand provisorisch frei. In der Zwischenzeit hat der Vorstand von CAcert Inc. an seiner Sitzung vom 31. März 2017 die Vakanzen gefüllt. Gewählt wurden Alexander Samad aus Neusüdwales, Peter Nunn aus Victoria und Ross Krumbholz aus Queensland. Lors des élections de renouvellement en décembre 2016, les trois sièges du comité réservés à des Australiens conformément aux dispositions légales sont restés provisoirement indemnes. Entre temps, le comité de CAcert Inc. a élu lors de sa réunion du 31 mars 2017 Alexandre Samad de Nouvelle-Galles du Sud, Pierre Nunn de Victoria et Ross Krumbholz de Queensland. This entry was posted in Information, News and tagged Board, CAcert Inc, Committee on 2017-04-11 by Etienne Ruedin. 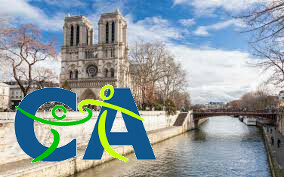 If you stay at Paris, do not miss to join the local CAcert assurer group to pass a nive evening with them at March 21st! This entry was posted in Events and tagged Assurance, Assurance Event, CAcert, Community, Event, France, Paris on 2017-03-14 by Etienne Ruedin. February brought the start of the exhibition season for CAcert with our presence at FOSDEM – one of the biggest Europe-wide developer conferences in Brussels, Belgium. Of course we performed our well-known assurances, which is very popular at such events, with which CAcert safeguards its certificates by checking users’ ID documents. This allows us to offer a safe and trustworthy certificate authority to our users. Of particular note was that interested people were seeking more detailed information about security – questions such as what it actually means, and why are we not yet in the trust stores of many of the web browsers. It’s true that Let’s encrypt is trusted by the popular browsers, but if you take a close look at the certificate of a site protected with a Let’s encrypt certificate, you will find out that it does not contain any information about the owner. This means it is impossible to verify the identity of the site and therefore it is basically uncertain to which site the browser is actually connected to. CAcert allows the site owner to publish identification information in the certificate after the assurance – for private users as well as for companies. 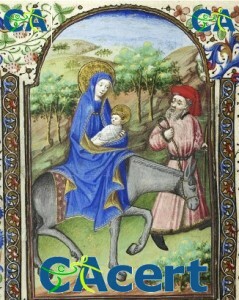 This way, CAcert offers a clear mutual trust, which makes it worth importing the CAcert-Root-certificate from www.cacert.org. But there’s more: CAcert offers client certificates as well and signs GPG/PGP keys. Anyone who always wanted to sign his emails and encrypt them if needed, can do this easily with CAcert. Most email clients supports S/MIME certificates or PGP. By this means the authenticity of the sender is verified, and the receipient can verify the name of the certificate owner. Also attachments like PDF can be signed this way and protect the document against later changes. This entry was posted in Information, News, Progress on 2017-02-19 by Alexander Bahlo. Ja, 2017 will ich bei CAcert mithelfen. 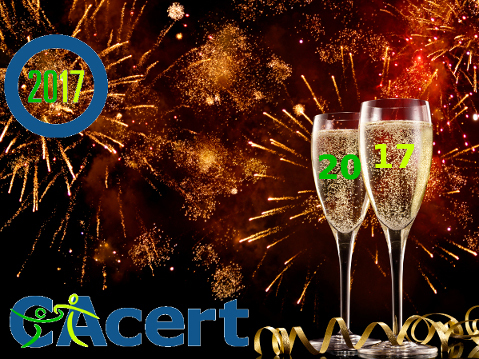 Yes, I want to give CAcert a hand in 2017. Oui, en 2017 je donnera un coup de main à CAcert. Ja, in 2017 wil ik helpen met CAcert. Sí, en 2017 quiero ayudar a CAcert. Sim, em 2017 eu quero ajudar a CAcert. This post was published at New Year in New South Wales. This entry was posted in Uncategorized and tagged CAcert, Community, Helping, Season on 2016-12-31 by Etienne Ruedin. In a few hours, the year 2016 will be over. So, the secretary of the new elected committee of CAcert Inc., the infrastructure partner of the CAcert comunity, had just enough time, to show his gratitude to two members of the association who were active in the association for exactly five years. 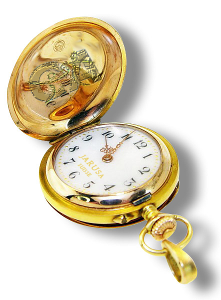 That is the reasons, why he handed over them a (virtual) golden watch as sign of thank you. Kevin Dawson from New South Wales, the home of CAcert, became Public Officer in 2011 and remained in this function until 2016. As public officer, he dealed with the New South Welsh government and was contact person for the Office of Fair Trade and CAcert’s bank. Furthermore, Kevin Dawson, had a seat in the committee from 2011 to 2013 and in the transition committee in summer 2016. We sincerely thank Kevin for his excellent work, which he has done silently at the other end of the world, but always exactly and well, and regret that he is now concentrating on new things. The second gold watch for five year loyal services to CAcert Inc. was handed over to Dirk Astrath from Germany, the country with the most community-members. He startet – at the same time as Kevin as Public Officer – as assessor in the committee. Later he hold the functions of secretary, vice president and president with exception of winter 2015/2016. 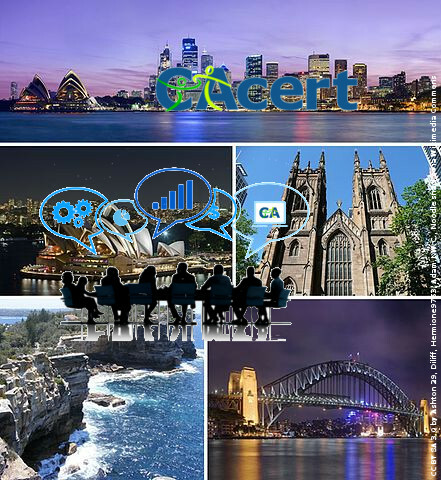 If everything goes well with the “move” of CAcert Inc. Dirk will have been the last president of the Australian association. This entry was posted in Information, News and tagged CAcert Inc, Merits, Volunteers on 2016-12-31 by Etienne Ruedin.